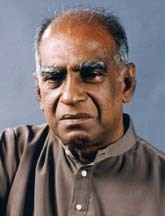 Pandit W D Amaradeva is an iconic musician produced in Sri Lanka. His contribution to the local music is incomparable which spans nearly six decades. Amaradeva was born in Moratuwa, originally named Wannakuwatta Mitiwaduge Don Albert Perera on December 5, 1927. Music was his inspiration since a small age. His parents were very fond of music, though professionally they were carpenters. Amaradeva was introduced to music by his father who crafted and repaired violins at Moratumulla Wadu Karmika Vidyalaya. His mother loved singing hymns. Young Amaradeva was influenced by the background. His father presented a violin to him on his seventh birthday. It was the starting point of his brilliant and remarkable music career. Pandith Amaradeva started his career at Radio Ceylon and had the chance to enter Bhathkande Music Institute in Lucknow, India. He followed Indian music styles there and tuned back to Sri Lanka as Pandit Wannakuwatta Mitiwaduge Don Amaradeva. The name Amaradeva which translates as 'immortal god' was given to him by Prof Ediriweera Sarachchandra. Today, he is known as Amaradeva by everyone. He primarily plays instruments like sitar, tabla and harmonium. He incorporates Sinhala folk music into Indian ragas in his work, removing traditional restrictions that had existed earlier. He created a unique Sinhala music style that stayed true to folk tradition while incorporating outside influences. His contribution is remarkable in creating Sinhala sarala gee genre, practiced subsequently by many artistes such as Victor Ratnayake, Sunil Edirisinghe and Sanath Nandasiri.